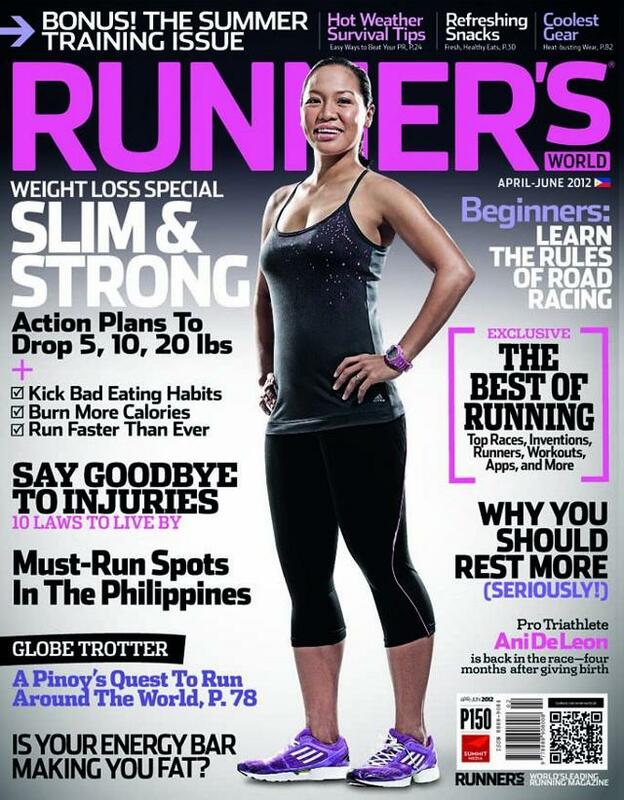 Runner’s World Philippines celebrates its first anniversary with the April-June issue themed as the Weight-Loss Special. “As we look forward to more years down the road (and trails), we hope to give you even more training information, nutrition, up-to-the-minute studies, and uplifting stories to keep you running stronger and longer,” says Runner’s World editor-in-chief Marie Calica in her Editor’s Letter. As the anniversary issue of Runner’s World Philippines trains the spotlight on the link between running and weight-loss, the issue also highlights the significance of what you eat when it comes to shedding those excess pounds. Featuring the article “Golden Rules of Weight-Loss”, these road-tested key nutrition principles will help you overhaul your eating habits and slim you down for good. While running keeps you fit, healthy, and happy, more running-related injuries can also be incurred. Runner’s World Philippines gives you 10 time-tested principles by sports-medicine experts to teach you how to stay injury-free for more years to come. A simple change in the routine like knowing your limits, shortening your stride, and stretching the back of your legs are some of the principles you will learn in this feature. In the anniversary issue of Runner’s World Philippines , find out interesting running facts and idiosyncrasies in the article “The Best of Running” as it features facts like the top distance runner in history, inventions that changed the way we run, the best running-inspired movies, the most popular Pinoy runner, and more. Pro Triathlete Ani De Leon graces the cover of the April-June issue of Runner’s World Philippines, now available in newsstands, bookstores, and supermarkets nationwide for P150. For more of Runner’s World online, become a fan on Facebook via www.facebook.com/runnersworld.ph and on Twitter via www.twitter.com/RunnersWorldPH. Nike Flyknit Racer - I Want One!